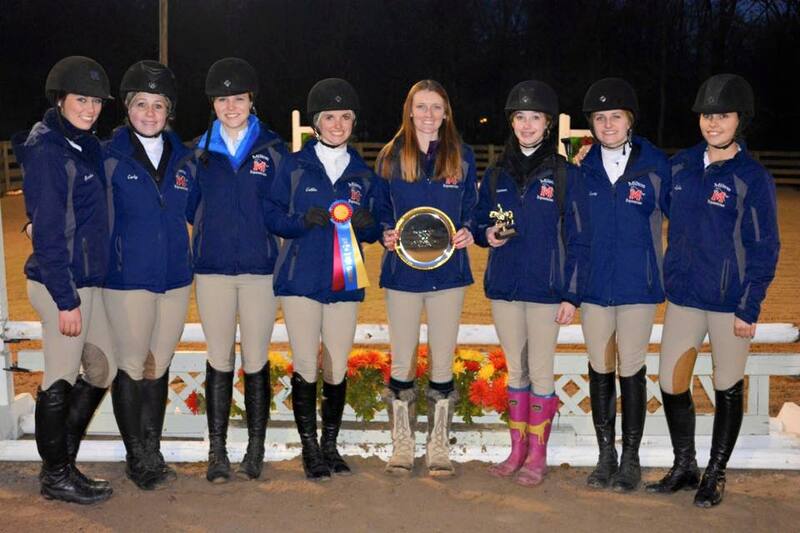 Lauren Kamber is Milton High School IEA team’s and Fortitude Farm Equestrian team’s coach. IEA offers our riders unique opportunities to prepare for collegiate riding formats, earn college scholarships, and enjoy team competition and camaraderie while still showing and succeeding with individual recognition at both the local and national level. 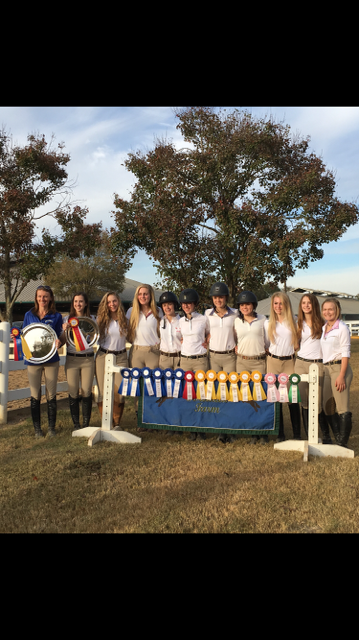 Congrats to the Fortitude Farm High School team on a Reserve Champion finish and the Middle School team on their Champion Finish! 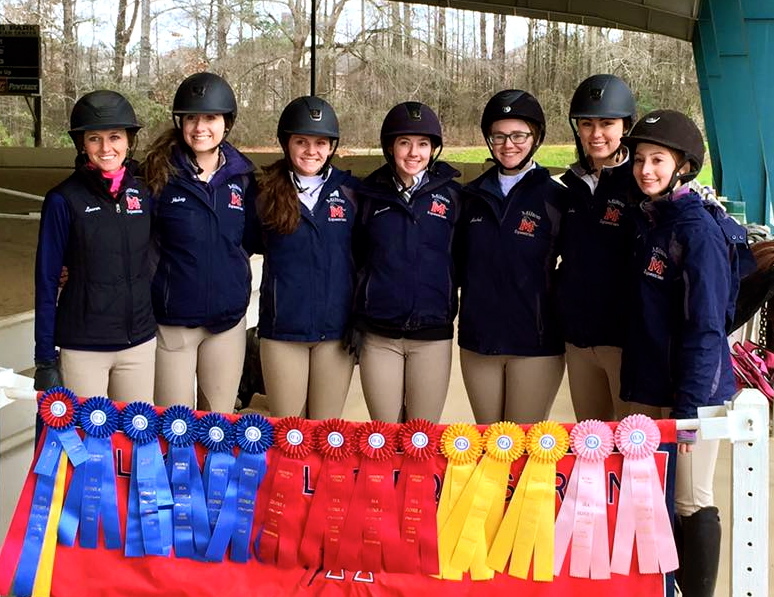 A HUGE CONGRATULATIONS TO THE MILTON HIGHSCHOOL IEA TEAM AND COACH LAUREN KAMBER FOR QUALIFYING FOR THE 2016 IEA NATIONAL CHAMPIONSHIP! 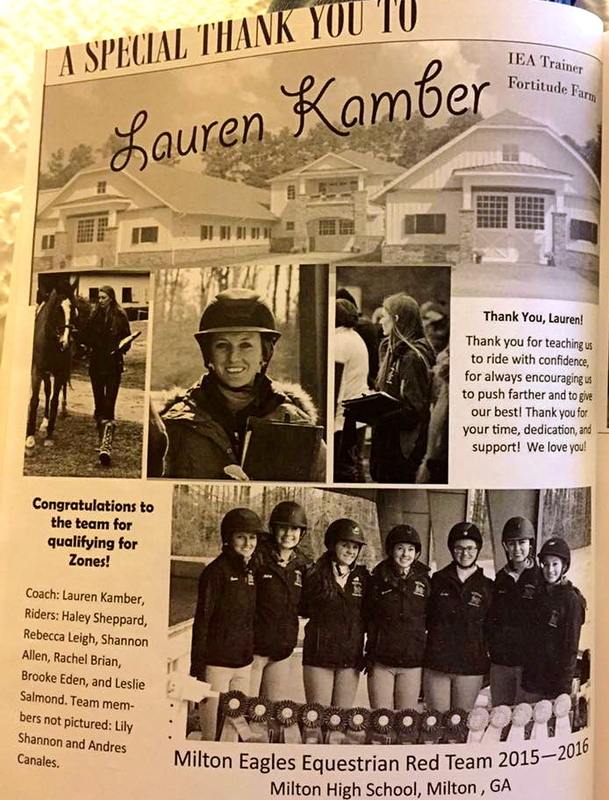 We are so proud of all the team members, as well the super talented Coach Lauren Kamber, for having such an amazing season so far and wish them all the best of luck in Lexington, KY for the IEA National Championship! 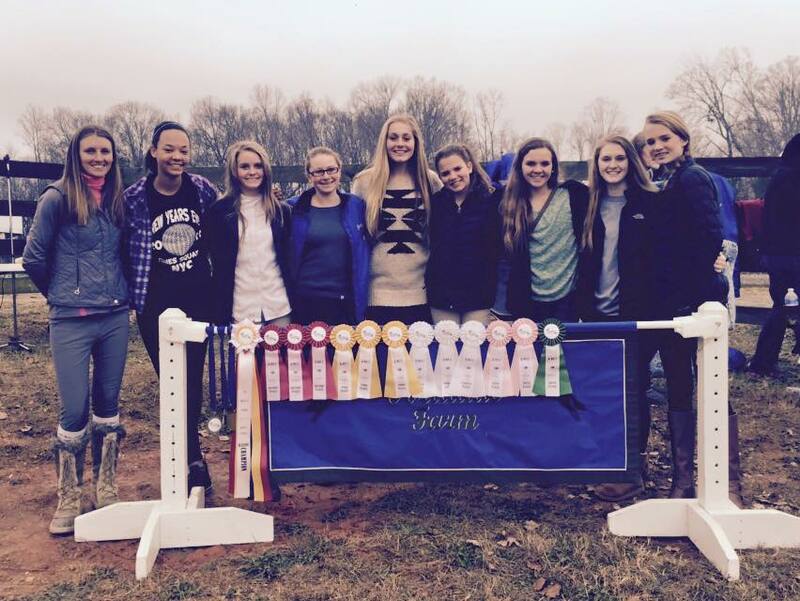 You all are constantly making the Fortitude Fam proud and we are so honored to have you represent the Farm in the IEA National Championship! 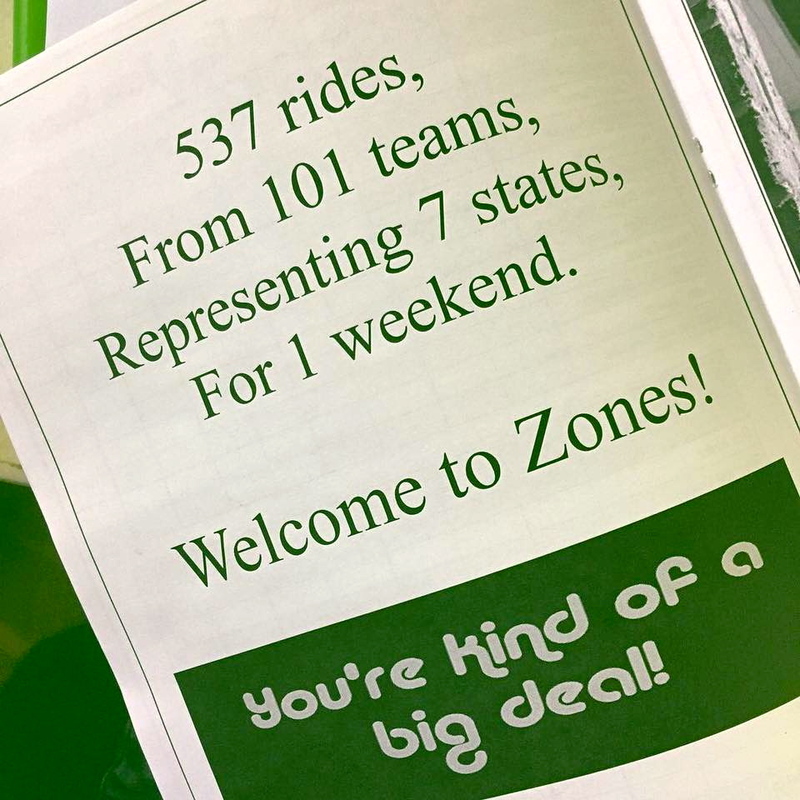 Routing you on from Alpharetta! 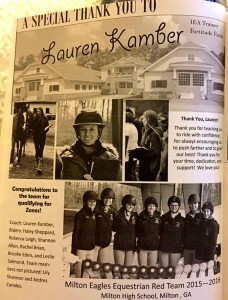 Lauren Kamber of Fortitude Farm. 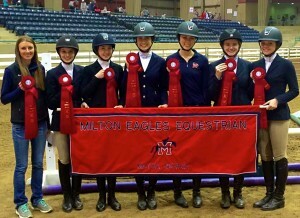 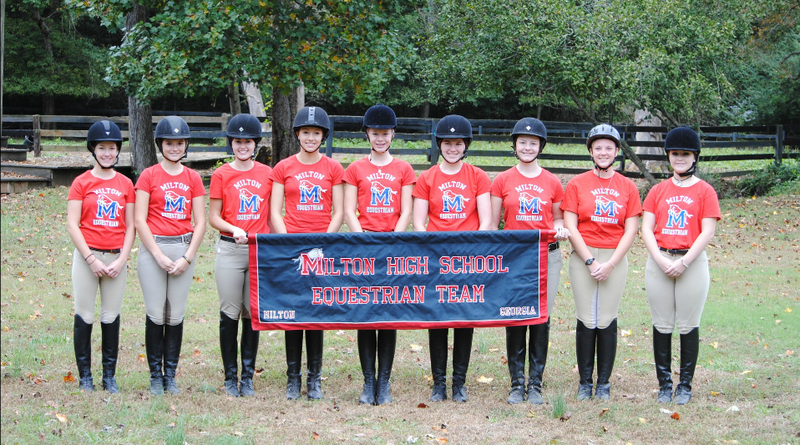 CONGRATULATIONS TO THE MILTON HIGHSCHOOL IEA TEAM FOR QUALIFYING FOR 2016 ZONES! ALSO, CONGRATULATIONS TO BECCA LEIGH AND HAYLEY SHEPARD FOR WINNING THEIR CLASSES AND AND QUALIFYING FOR ZONES AS INDIVIDUAL RIDERS!